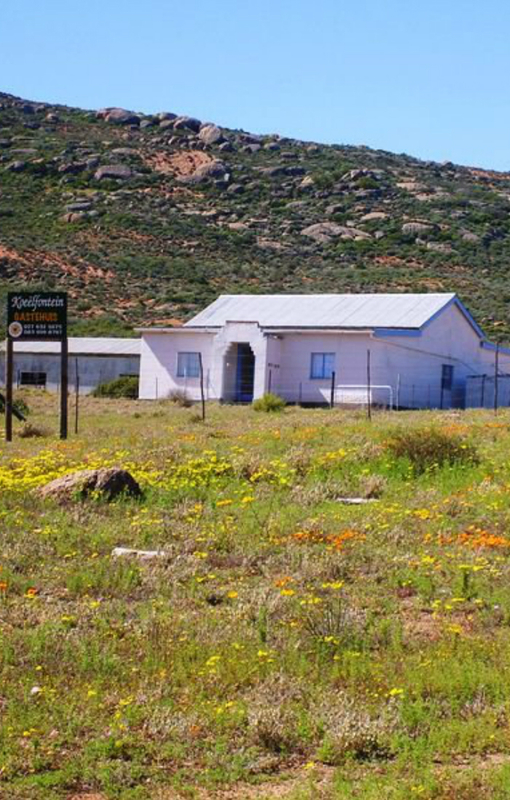 Holiday farmhouse located between Koekenaap and Bitterfontein. Ideal for the flower route. Consists of three bedrooms, a spacious kitchen, bathroom and outdoor/indoor grill. Accommodates up to seven people. Meals are provided on requests. Walking and mountain bike trails available. Come enjoy the tranquility, silence and fresh clean air and experience the days before television. Enjoy board games and cards.